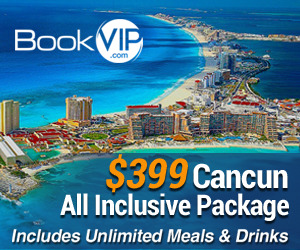 If you are stopping by from Love Your Abode, welcome and thank you for stopping by! My colors are silver and gold and gray. I got these lovely bauble ornaments from Amara.com. 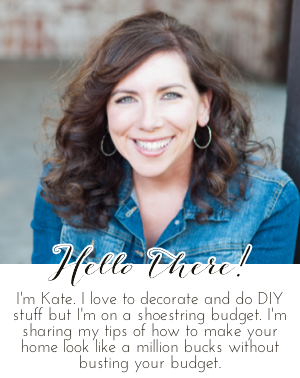 They are inexpensive and versatile. 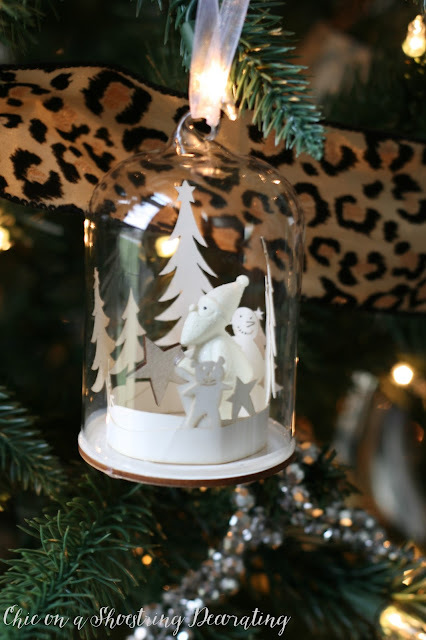 Put them in a jar, on your tree, or hang them from your chandelier are just a few options. 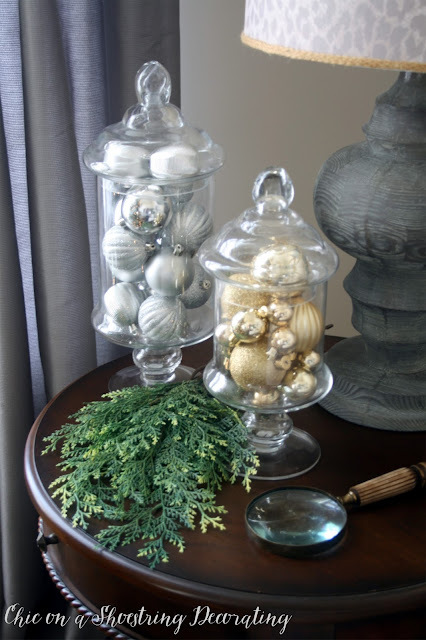 I got a set of these cute glass dome ornaments from them as well. The inside s are wood carvings, so cute and unique! I have been hanging this on my great-grandma's cabinet that sits in my living room for the past several years. I love how real this greenery looks. And, the customary Christmas tree night shot. 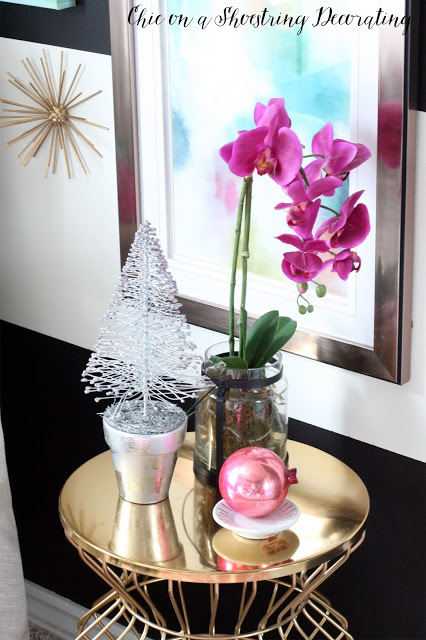 Speaking of pillows, let's move on to my home office... my champagne colored tinsel tree adds the perfect amount of twinkle to a room filled with bold colors. 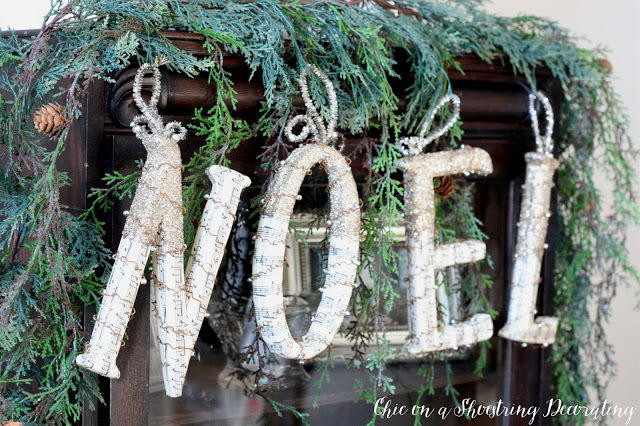 And, it needs no ornaments! 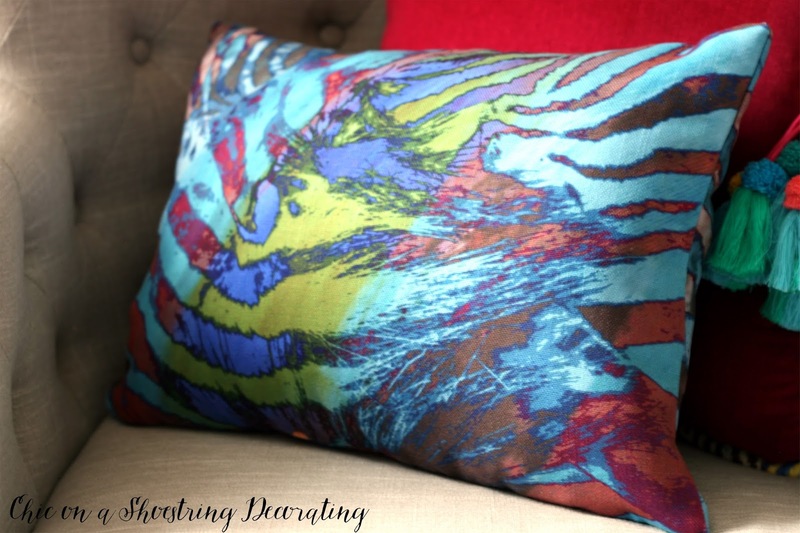 I got these fabulous pillows from SmithHonig. 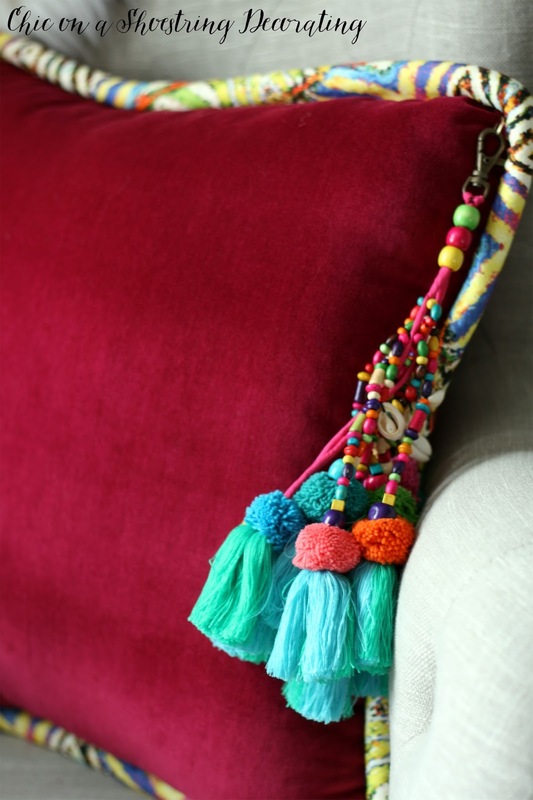 Look at this fuschia luxurious plush velvet pillow with these amazing tassels. I also chose this SmithHonig African Paint Pillow, it goes great with the velvet pillow. 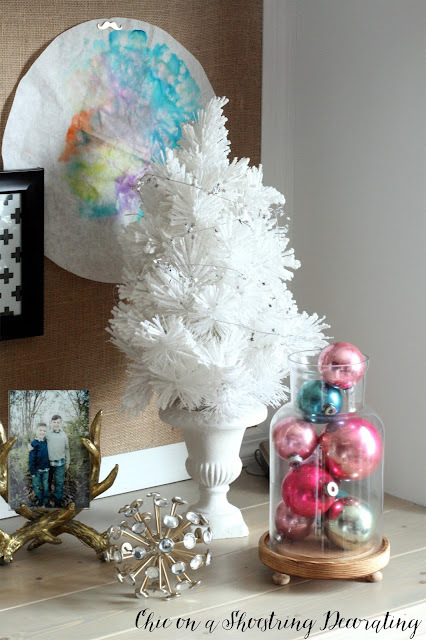 I like to add a little flocked tree to my desk, too. 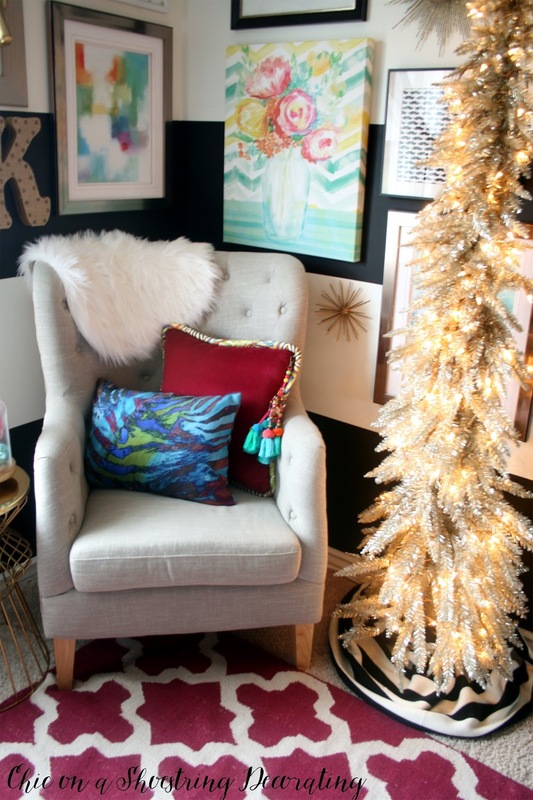 If you don't have up all of your Christmas decor yet don't feel bad, I don't either! I am about two-thirds done. 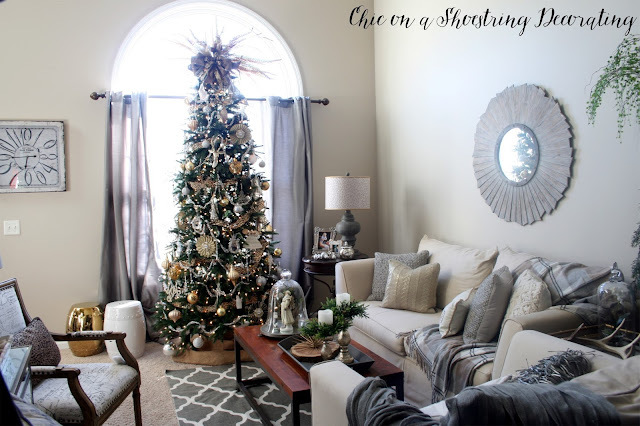 I like to put my decor up a little early as I really like to enjoy it! Every Wednesday for the next three weeks we will be sharing more of our Christmas decor on the Merry and Bright Holiday Home Tour. When you come back you'll get to see my kitchen and family room, these rooms have a modern farmhouse look so will be a little different than what you see here today. 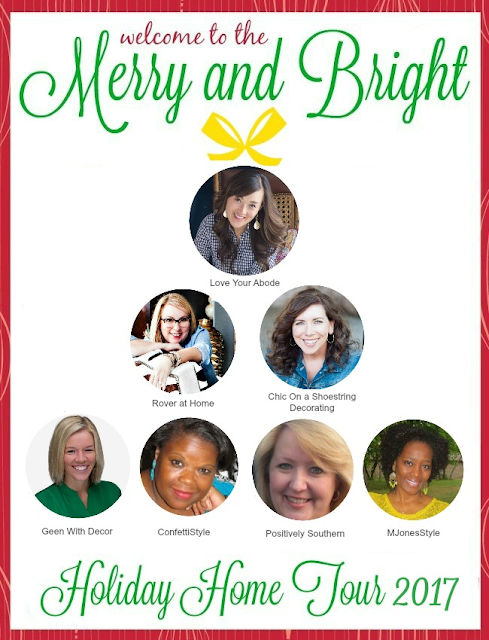 I hope you'll join me and all of my friends! 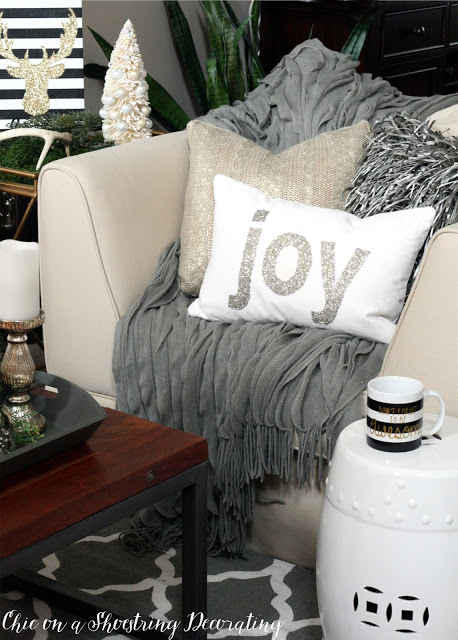 Next on the tour, head over to see Melanie's lovely decor at Rover at Home. A huge thank you to Amara and SmithHonig for sponsoring this tour! Everything looks so great! 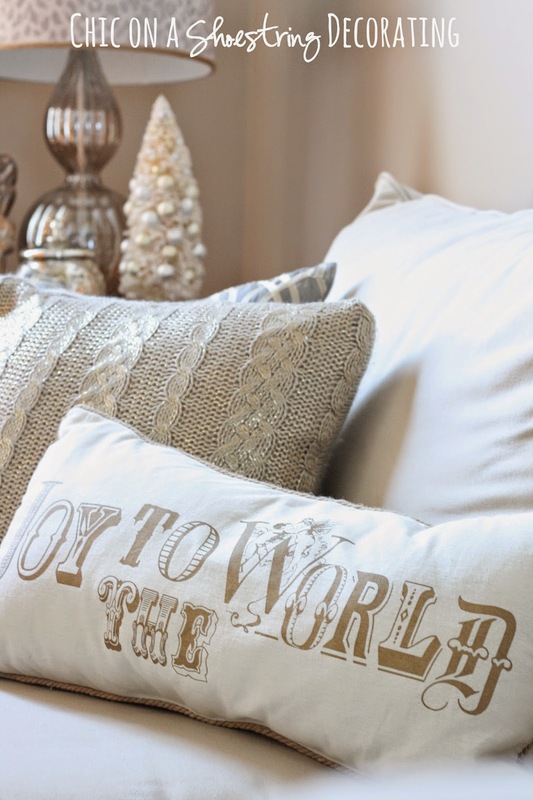 Love the pillows you chose from Smith Honig! Kate, your Christmas decor is just beautiful. 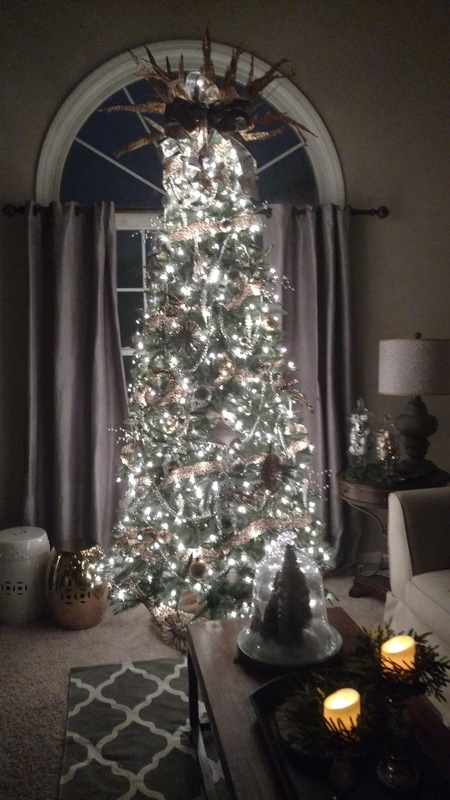 Your tree is stunning and those dome ornaments from Amara are too cute!~ Can't wait to see more of your holiday decor next week. Lovely! 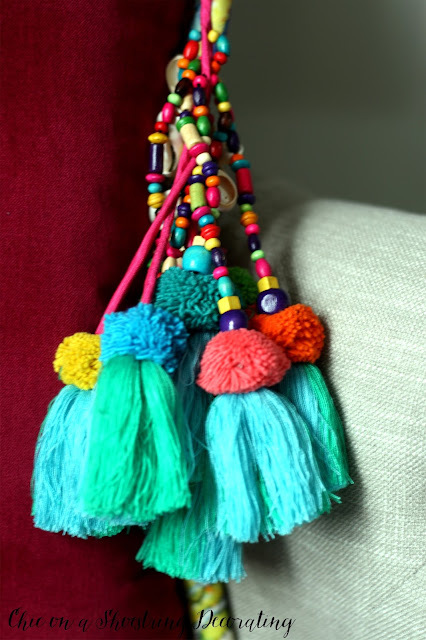 I love the tassels too. Super cute!